Barnsdales FM, the facilities management division of Barnsdales, has underlined the quality of its work by achieving two major accreditations. The division, which was only launched just over a year ago, has been recognised as an approved NICEIC contractor. 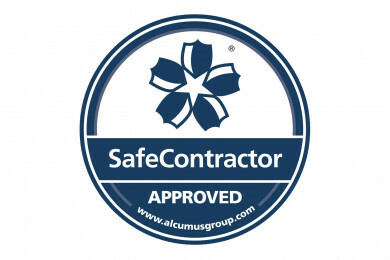 It has also been awarded accreditation from Alcumus Safe Contractor for achieving excellence in health and safety in the workplace. Companies recognised by NICEIC – the National Inspection Council for Electrical Installation Contracting – are assessed on a regular basis to ensure that they are competent and capable of meeting the relevant technical and safety standards and codes of practice. SafeContractor accreditation will enhance Barnsdales FM’s ability to win new contracts, and its commitment to safety will be viewed positively by its insurers when the company liability policy is up for renewal. Clive Chippindale, managing director of Barnsdales FM, said: “Since launching the business we have grown rapidly in terms of workload and personnel and these accreditations show that we are achieving the highest quality standards as we grow.